Driving through the vineyards of Darling on the Cape’s West Coast, and I get a back-ache just looking at those rows of short, squat bush-vines. Pruning, picking and topping these low-standing plants would require a person bending lower than what a wine-seller has to do to get his product listed with a national restaurant chain, just with less nervous sweat and boot-licking. Most of the vines in the area of Darling are of the bush-vine kind, unirrigated and being dependant for moisture on the rains blown in by winds from the coast some 25kms directly west. It is cattle and wheat and wine country, old and pastoral, and the vines grow on Hutton soils bearing hearty chunks of koffieklip as well as weathered granite that crunches under your boots, causing sounds waves make as they crash into high rocks. In many aspects, the bush-vine follows its own head as it confronts season-after-season, largely independent from the manipulation trellised vines undergo at the hands of the grower. Rows of bush-vines can be planted in any direction as the influence of wind-flow is negligible due to their low positioning. The passing sun will at some time of day glow upon every bunch of fruit and leaf due to the shoots’ outward spread. In conditions of stress, extreme heat and drought, the bush-vine allows the grape bunches to do a hara-kiri. Because under duress the leaves naturally open-up away from the energy-sapping grapes, allowing the sun to in fact burn the fruit to death so that strength and nourishment is taken away from the bunch and directed back into the rest of the plant to help it survive. Bush-vines represent visceral wine-farming, an attractive feature of the South African wine landscape that together with the promotion of our old vineyard legacy lends authenticity to the local vinous offering. Recent vineyard travels to check-out the bush-covered slopes of Darling were complemented by a tasting of the Old Bushvine Chenin Blanc made at Darling Cellars, the largest winery in the region that sources a variety of cultivars from the region’s farmers. 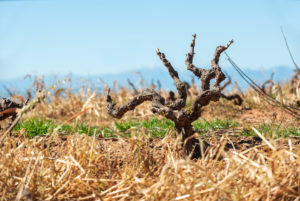 The old vine Chenin Blanc wine is as fascinating as the plants that grow them. Old Chenin Blanc in Darling. Sauvignon Blanc has for long been a focus on the white side here, but the quality of Darling’s cool-climate Chenin has recently come to the fore garnering critical acclaim as well as getting some beefed-up focus at the hands of the Darling Cellars wine-making team. 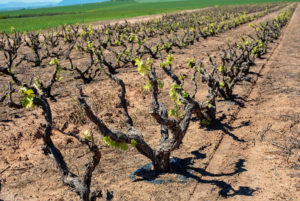 The Old Bushvine Chenin Blanc 2017 is made from two vineyards planted in 1980 and 1981 respectively, with meagre yields going on four tons a hectare. After crushing and destalking the juice was kept on the skins for 24hrs, then drained off with only the free-run component being fermented for 21 days at a bracing 15°C. Of course, it would be sacrilege to deprive this sort of juice the character-building block that is wood. Maturation was done in French oak for 10 months, the barrels a blend of 1st, 2nd and 3rd fill vessels. Darling Cellars cellarmaster Pieter-Niel Rossouw only kept the five best barrels for blending towards the final offering of this Old Bushvine Chenin Blanc from the 2017 vintage which, incidentally, is getting rave reviews from winemakers now meeting the fruits of that year’s labour. There is, as can be expected from matured and tough vines, concentration and firmness in the wine. There is more fruit than the 2.2 grams of residual sugar would have one expect, myself picking a juicy bite of sun-dried pear as well as some ripe red apple. But then wonderful things happen as the wine eases in the mouth and dense layers of good things splash about, riding the wave of palate density. The wine’s grasp remains at the back-end of the mouth, that area we as kids would hide the round hard sweets named after previously-disadvantaged citizens of America. Succulent and bracing tastes, but decadent and showy in a modern artistic way. As a white wine, this is classic stuff. 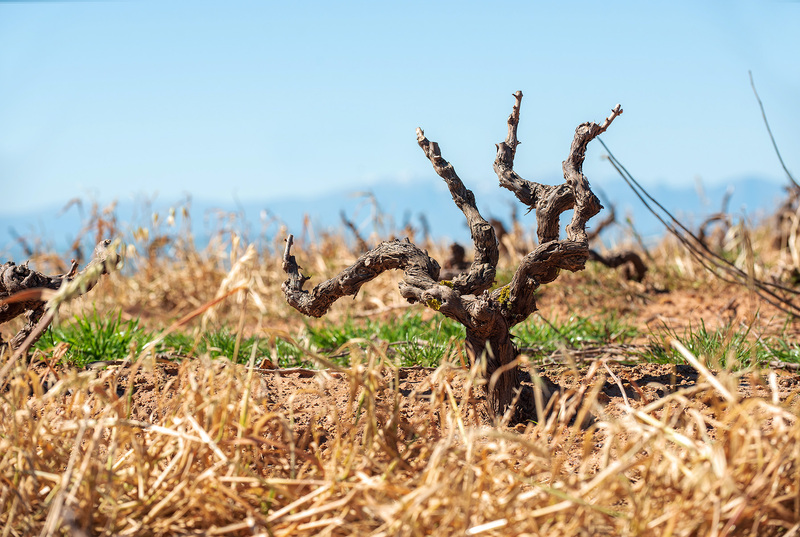 This Old Bushvine Chenin Blanc is able to mature well into the future where it will take a turn to less upfront fruit towards a leaner, more complex and differently structured wine. If one has the back-bone to keep put it away for a few years, that is.